“A charmer full of type, who enthused from the beginning with movements light as a feather, an outstanding walk and brilliant trot and gallop. A stallion with a very special quality of movements,” said breeding director Lars Gehrmann during the awarding ceremony at the licensing at the Trakehner stallion market in 2015. 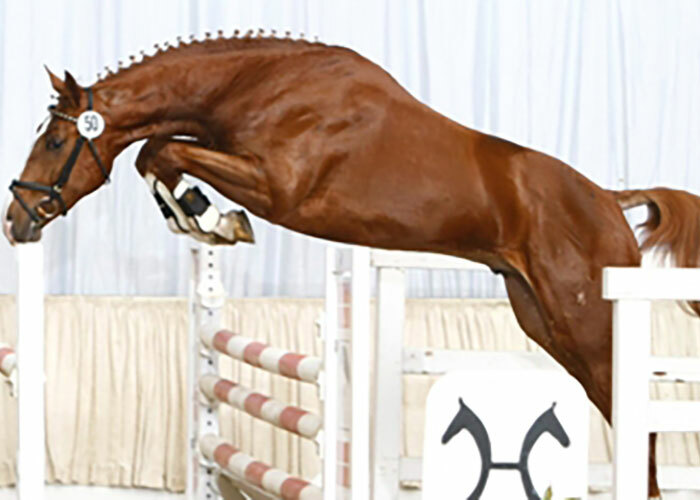 His father, the second Vice Champion of the licensing in 2010, Millennium, was awarded the 1c premium of the Oldenburger Breeding Association in 2012. 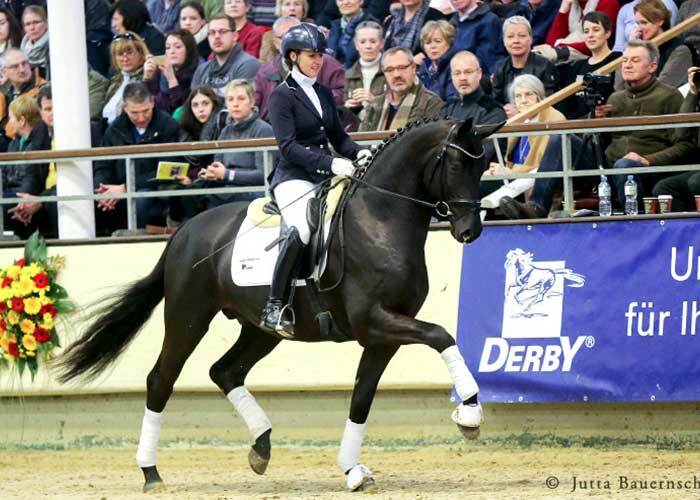 With a score of 8.66 points he was dressage champion of his 70-day stallion performance test in Neustadt/Dosse in 2013. 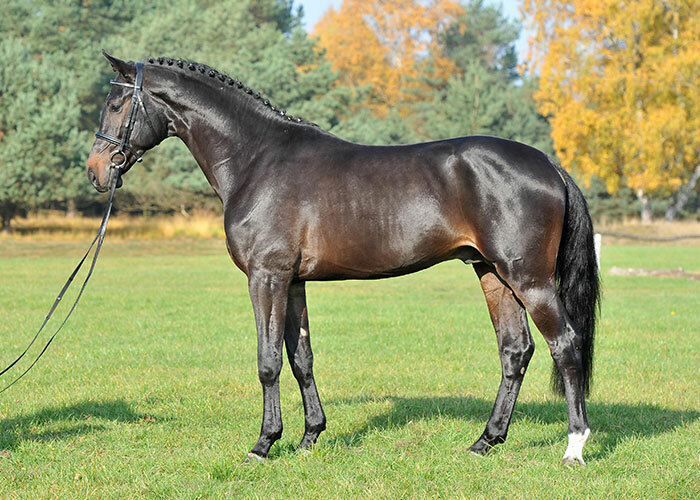 Millennium is todays Trakehner stallion star: He provided ten licensed sons in his first year of foals alone. 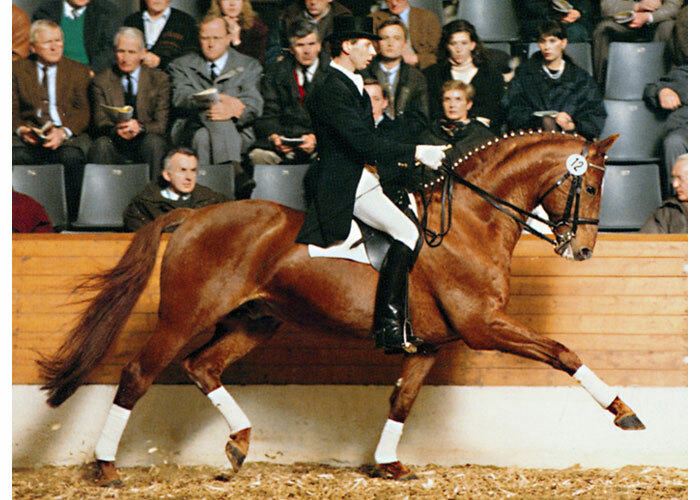 Trakehner champion stallion Sir Sansibar as well as Oldenburger champion stallion Moricone are among his sons. In 2015, three sons were licensed in Neumünster, two of them awarded premium and all of them sold for an average of 200,000 Euros. Two of his sons were licensed in Verden, one both in Munich and Neumünster. Heliums mother is a daughter of Induc, vice champion of 1992 and German National Young Horse Champion of the four year old horses with rider Hans-Jürgen Armbrust in 1994. Induc’s father Marduc was vice champion of his licensing as well. Induc’s grandmother Illusion by Flugsand won several advanced level dressage tests with her rider Harry Boldt. Heliums family on his mothers side is one of the pillars of Trakehner breeding in Denmark. From this family stem the stallions Henkel and Herkules, dressage champion Hertug and vice champion Herakles.